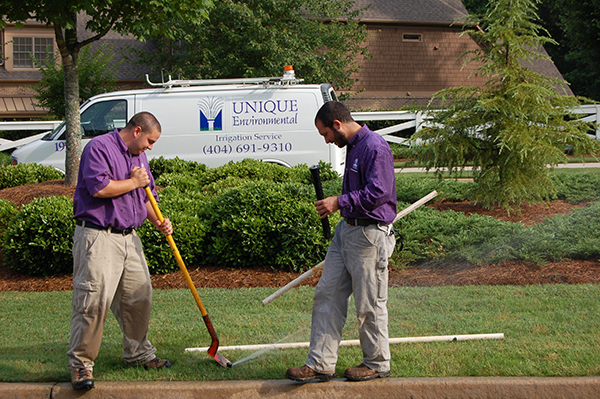 Unique’s irrigation department offers a full range of services for commercial and residential customers across the metro Atlanta and north Georgia areas, from complete system installs to general services. From winter shut-downs and spring start-ups to troubleshooting and repairs, Unique handles all size projects, small to large. Unique has an immediate opening for an Irrigation Tech. Click here for more information. 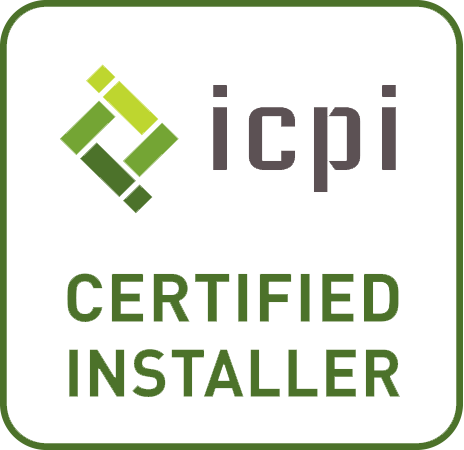 Our irrigation auditing services offers our clients the most up-to-date products, which will transform your irrigation into a system that is water-wise and compliant with water regulations. 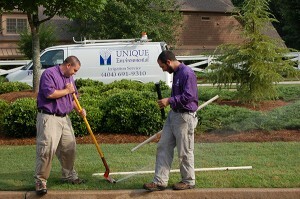 Unique can retro-fit existing systems to provide more accurate and effective watering solutions. This process can include changing out irrigation heads, adding drip zones for more effective water distribution, and adding water sensors that monitor soil moisture. 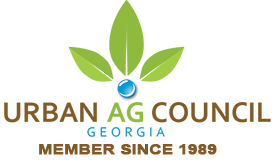 We incorporate the most water-wise products to make the efficient use of water a priority in your landscape. Our repairs and service crew can handle any type of situation from a simple irrigation adjustment to a major main line break. Unique can design and install a variety of rainwater harvesting systems from large commercial to residential sites. Rainwater harvesting is an excellent solution for not only drought conditions, but for rainy conditions, too, saving you money on your water bills. In fact, there is more to rainwater harvesting than one might think! For example, tanks can be hooked up to irrigation systems to serve indoor water needs and air conditioning condensation can be run into the tank, which adds up to serious savings. The systems are based on the needs of the customer for either landscape watering or other water applications. Depending upon the client’s installation location and specific needs, underground as well as above ground options can be considered. As seen in the photo to the right, Unique installed the two underground cisterns for a total of 7500 gallons of water storage. This system will be integrated into the irrigation system to provide complete watering capabilities. 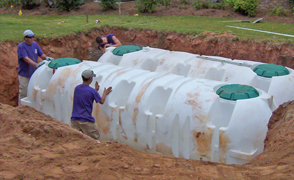 Above ground rainwater harvesting tank systems are available in several slimline, round and low profile configurations. Aesthetically pleasing styles and colors are available. Give us a call today and find out how you can go green and start saving money on your water bills.